Nicola Dickinson, the founder of Fresh Therapies was concerned about the ingredients that were in her usual nail polish remover and set about finding a natural solution. 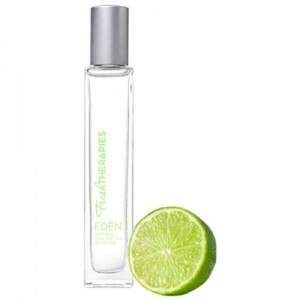 After a lot of painstaking work, the Fresh Therapies Eden Natural Nail Polish Remover was developed and has gone from strnegth to strength. The natural nail varnish remover works brilliantly, conditions nails and smells divine - no wonder it's winning so many awards! Anyone concerned about the toxins in regular nail polish remover will love this brand and the great scent and conditioning effect on the nails are an added bonus. Fresh Therapies is a toxin free natural nail polish remover. 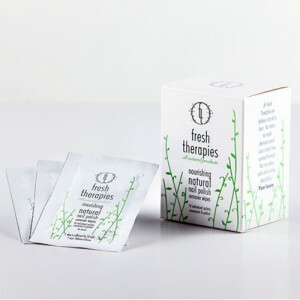 Fresh Therapies products are made from the best possible ingredients; biodegradable, eco-friendly, not tested on animals, free from all chemical nasties and they are suitable for vegans.